Petmate's Hooded Litter Pan makes an ideal starter pan for your feline friend. 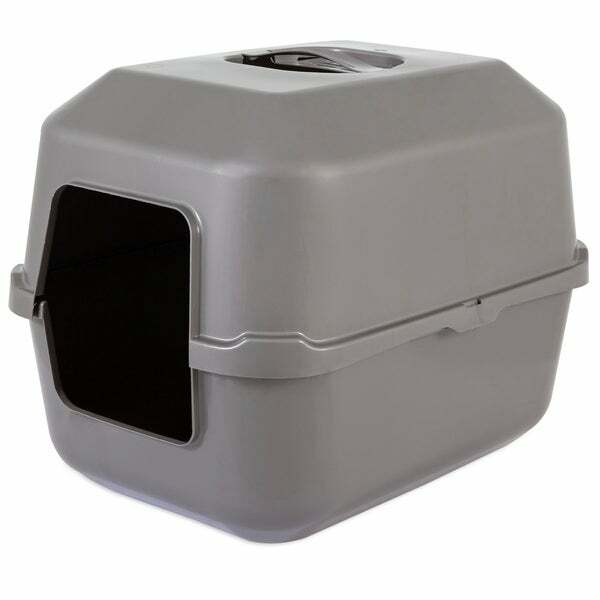 It features a secure drop rim lip for extra protection against spills, easy access for older or larger cats, and an easy-carry handle that makes relocation simple. Dimensions 22.11 In. X 17.1 In. X 17.1 In.